The Holiday season is quickly approaching, but thankfully there are chestnuts in the markets to make everything just a little bit better. 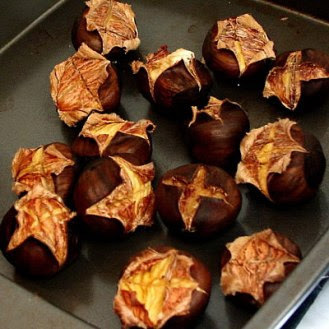 We like them roasted in the oven, in our Thanksgiving stuffing, or from a street vendor. Delicious!